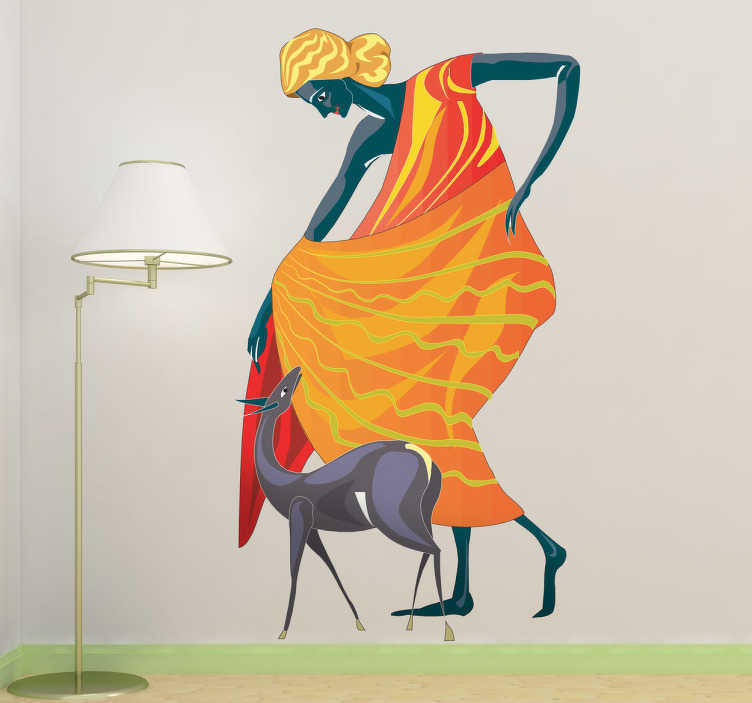 A striking wall sticker depicting the Roman Goddess Diana. Patron of the hunt, the moon and nature, give any of your rooms a mythical feel with this original and striking design. Shown here with her trusty hunting dog, the vinyl is applicable to any hard surface and just as easily removed as applied. A great gift for fans of mythology and ideal for any room in the home.